From masks, to invitations and even a Gruffalo cake, here’s everything you need to throw your very own Gruffalo party. 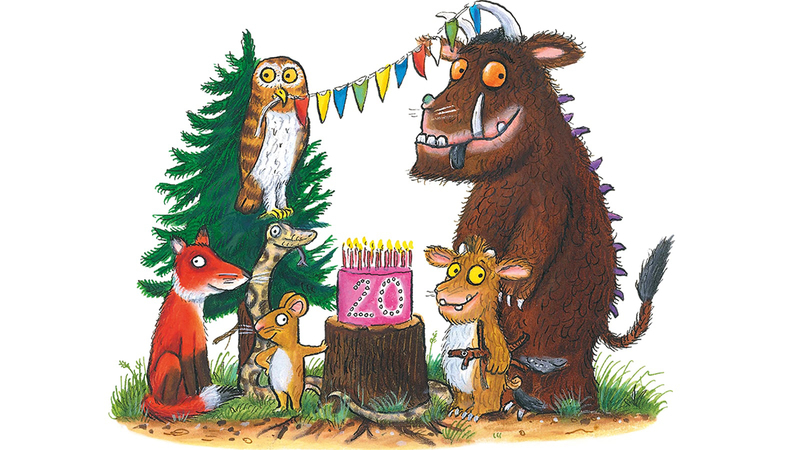 This year marks the 20th anniversary of The Gruffalo, and we’re certain he’ll be having a party to celebrate! For little readers who love the beautiful world of The Gruffalo, we have everything you need to throw your very own Gruffalo themed party, from colour-in masks and colourful invitations, to a delicious Gruffalo cake recipe that’s perfect for special birthdays. You can’t have a party without any guests, so first things first; cut out and colour in these Gruffalo party invitations and send them to all of your friends! Dive into the Gruffalo party spirit and give your party a Gruffalo fancy dress theme! Click the links below to download masks of the Gruffalo and his friends that your party guests can colour in and make themselves! For little ones that want to be head-to-toe Gruffalo, discover more Gruffalo costume ideas here. No party is complete without a delicious birthday cake, and this Gruffalo cake recipe which is sure to impress your little guests. Easy to make and fun to decorate, this cake is perfect to make with kids or to sit as the surprise centerpiece for your party. If a Gruffalo fan in your life is celebrating their birthday why not make them a thoughtful, homemade Gruffalo birthday card? We’ve created a colour-in birthday card with a fun pop-up Gruffalo face, perfect for siblings and friends to create for one another. For party guests who love arts, crafts and all things colourful, these Gruffalo activities are sure to keep your guests entertained. Julia Donaldson and Axel Scheffler’s The Gruffalo is a worldwide bestseller, beloved by an entire generation of children. The Gruffalo 20th Anniversary Edition features a wrap-around deep dark wood play scene and press-out characters for an interactive reading experience, as well as fun additional content.